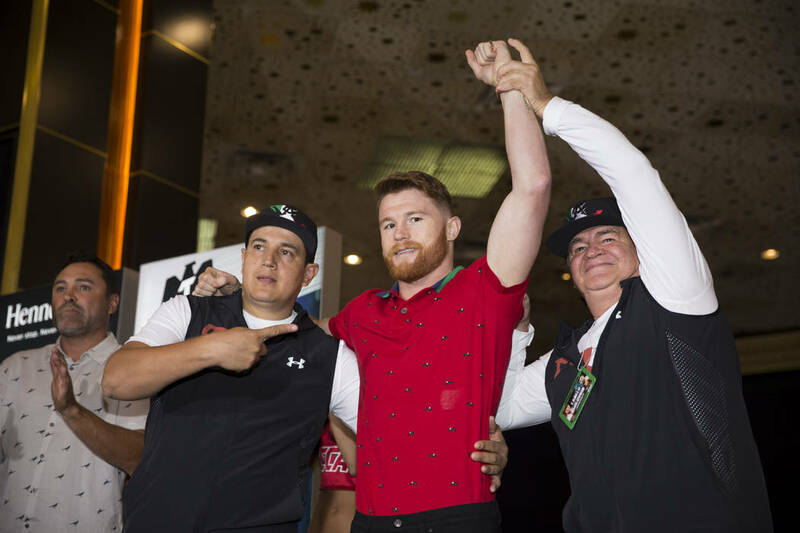 Saul “Canelo” Alvarez is eight years younger than Gennady “GGG” Golovkin, but that wasn’t evident Tuesday when the two middleweights made their arrivals at the MGM Grand lobby. 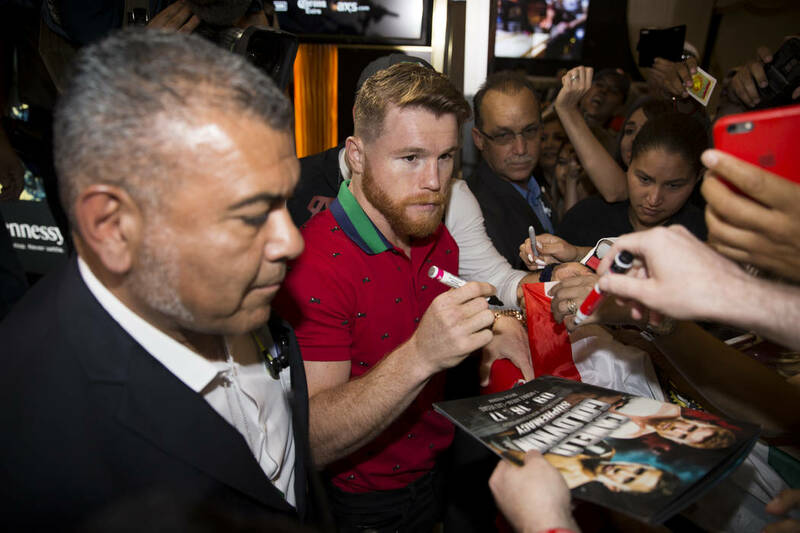 Alvarez, sporting an old-timer beard and mustache, was straight-faced when he spoke with reporters and brimming with confidence for his 10th Las Vegas fight, which includes bouts against Floyd Mayweather, Miguel Cotto and Shane Mosley. 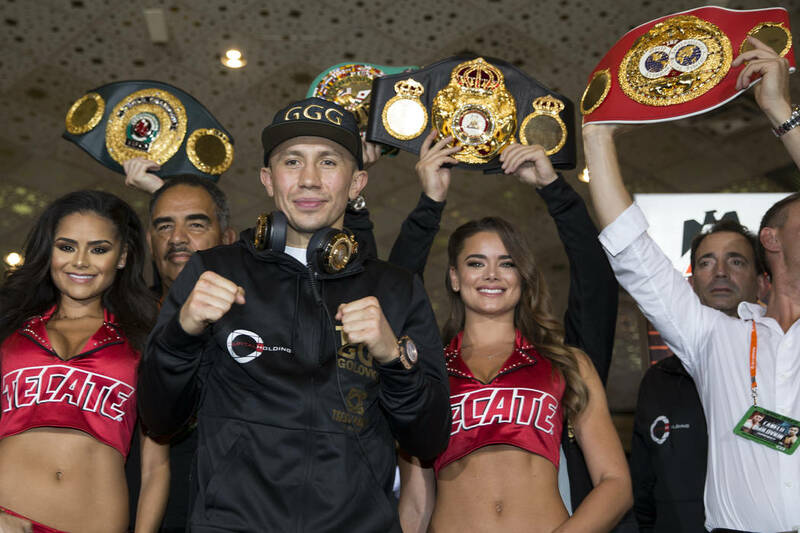 But the experienced Mexican star’s showdown against Golovkin on Saturday at T-Mobile Arena might be the biggest test of his career. 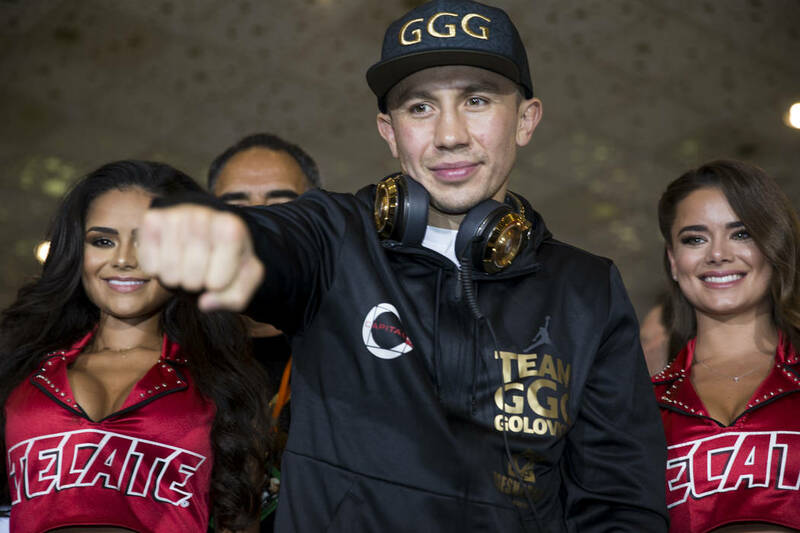 A baby-faced Golovkin flashed his vivid smile and told reporters “Triple G is here” before starting his interview.Golovkin, 35, soaked in his first Las Vegas entrance. Golovkin tried to downplay Alvarez’s experience of having fought in Las Vegas. The fighter from Kazakhstan wants to be remembered like “Marvelous” Marvin Hagler and Sugar Ray Leonard, but understands he needs to deliver a memorable Vegas performance on Saturday to reach such legendary status. Golovkin recalled watching the classic Hagler-Leonard bout as a child that took place in 1987 at the Caesars Palace’s outdoor arena. Golovkin’s trainer, Abel Sanchez, got the trash talking started early this week when he said Daniel Jacobs would beat Alvarez if they ever fought. Jacobs snapped Golovkin’s 23-fight knockout streak in March when he lost on a unanimous decision. Like a savvy veteran, Alvarez (49-1-1, 34 KOs) didn’t bite when told about Sanchez’s comments. “We’ll see on Saturday,” Alvarez said. “There’s no point in talking when we’ll know the truth on Saturday. Alvarez is a plus-135 underdog and Golovkin is a minus-160 favorite, according to VegasInsider.com. Sanchez wasn’t done playing mind games. 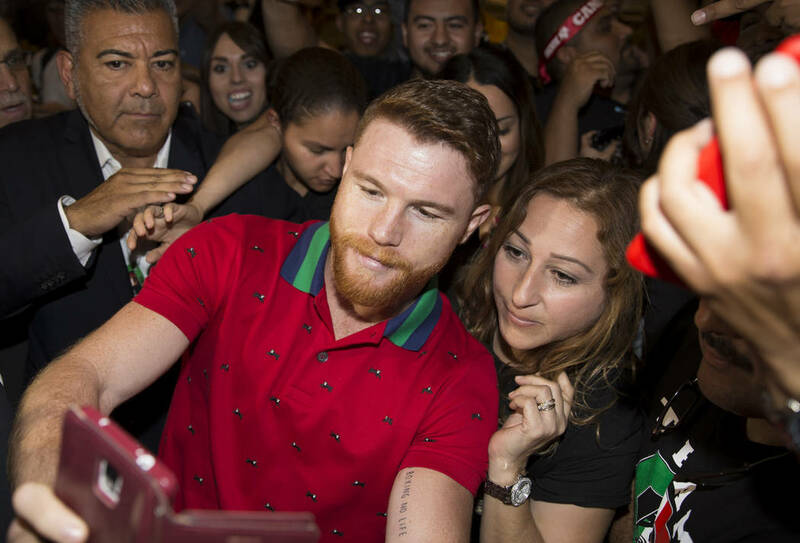 He passed around a black shirt that read “Cinnamon’s Toast,” a dig at Alvarez’s nickname Canelo, which loosely means cinnamon in Spanish. Alvarez, who once considered Golovkin a friend when they were sparring partners, said it got personal when Golovkin’s camp said he was scared to fight after the megabout was put on hold multiple times. Jorge Lara, Francisco Rojo, 3 p.m.